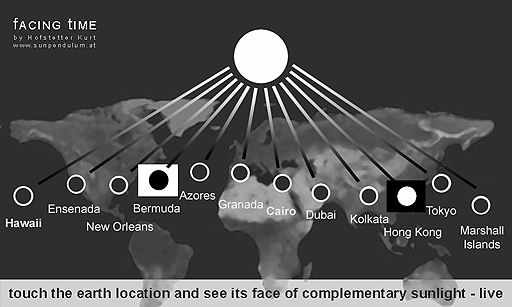 - a global network of light clocks in public areas at all the Sunpendulum collaboration partner institutions – i.e. 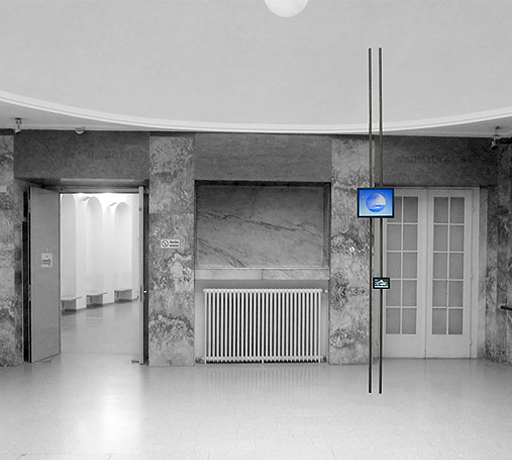 the 12 Sunpendulum collaboration partners around the earth, the Vienna University of Technology and ZKM - Center for Art and Media technology. Each light clock is connected to a touch screen that allows people to interact by selecting time-eyes’ sky image-streams to be simultaneously displayed on all the faces of the light clocks around the earth. 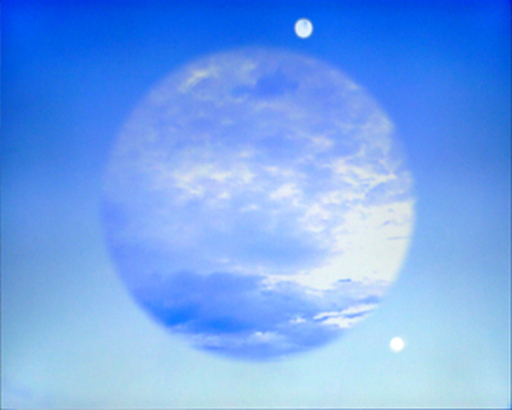 The interaction process is selecting online the sky of 12 different time zones and its complementary one. By touching a number on the earth map screen one’s finger triggers the light of parallel skies from complementary time-zones live for simultaneous display in all the light clocks around the earth. The installation package comprises the light clock – a 19“ screen having installed a Mini-PC on the back including Ethernet LAN access and its 7“ touch screen connected via USB. Local Resources necessary: Power and Internet. The software was developed by Marcus Priesch in cooperation with the Sunpendulum team and close collaboration with the Sunpendulum partners around the earth. The realisation of the fACING tIME installations around the earth is supported by the City of Vienna / Cultural Department, the Austrian Ministry for Education, the Arts and Culture as well as the Austrian Embassy / Cultural Forum in the respective country.